To the right of each contact page, you see a graph summarizing all the transactions recorded in Elorus. If you move your mouse over the tips above each point (. ), Elorus will display the sum of the individual transactions. For example, in the image below we see the sum of cash payments received from a client. Below on the contact page, you will find the sales/purchases index, that informs you of all outstanding invoices as a value. If you move your mouse over the chart, it will show you which documents are overdue and which are "on time". 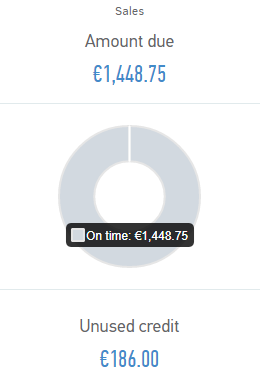 Apart from the amount due, you can see the sum of "Unused credit". This amount is made up of all the credit documents you haven't correlated to unpaid ones and could reduce the contact's actual balance once correlated. A prerequisite for the documents to be overdue is to set a "Due date" when creating them. 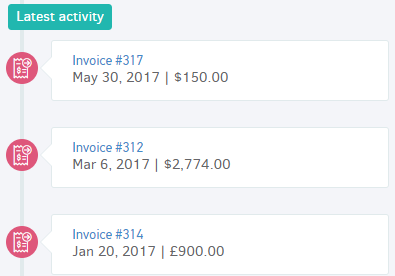 Also, if you click on the "amount due", a window will open to give you information about unpaid documents, similar to the picture below. By clicking on each document, you can go directly to its preview page for further information. At this section, you see the post-dated Checks (Incoming and Outgoing) whose due date has not passed yet or whose due date has passed and you must update their status. 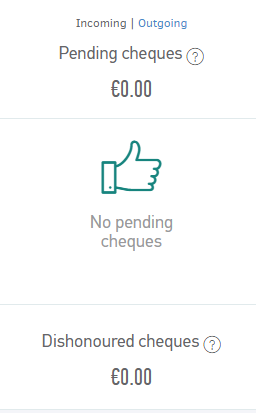 Moreover, you can view the amount of "Dishonoured cheques". These are cheques that could not be paid due to insufficient funds. Apart from bounced cheques, this also includes cheques being negotiated with the bank, or even delivered to your lawyer. In order to view any results here, you need to keep your cheques appropriately updated. In this field, you can type information about the contact for internal use. 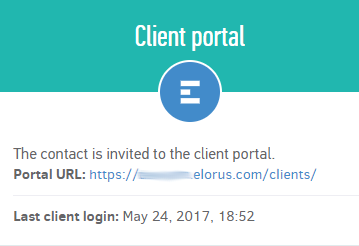 These notes are not visible to the contact, even if they have access to the client portal. 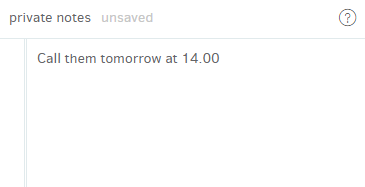 Clicking anywhere outside this box, the hidden notes will be saved. From this section, you can send an invitation to the contact for the client portal. For more instructions, see the relevant article. At this point, Elorus displays a chart depicting sales/purchases for the period of time you choose from the relevant field. If you check the "Include credit notes" field, Elorus will show you the result of sales or purchases after deducting credit notes. 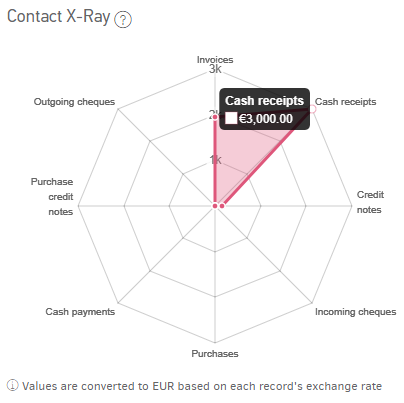 For example, if the net sales are € 2,000 and the issued credit notes have a net value of €500, then the chart will show net sales of € 1,500 if you check this option. 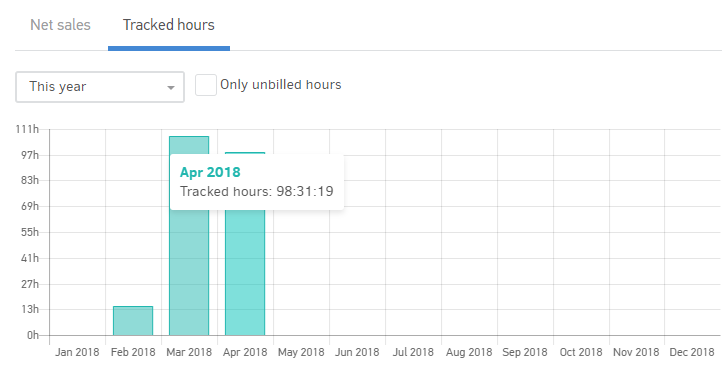 If there are projects you have spent time on concerning the contact, you can see a chart of the total hours you have recorded (billed and not), depending on the period you choose. In this field, you see the latest purchase or sales documents related to contact.